1000 A.D. - According to legend, Leif Erickson and the Norsemen first visited the area. 1500 - The Algonquins named the river Quineboquin (Crooked River). 1627 - Watertown established; includes territories of Waltham and Weston, most of Belmont, and parts of Lincoln and Cambridge. 1629 - The Puritans arrive in Salem from England, and are led by John Winthrop to the Watertown area. 1631 January 27 - Governer John Winthrop leads a small expedition eight miles inland along the northern bank of the Charles River, to plan a public road westward. They name Beaver Brook after the animals activity in the area, and Masters Brook after the oldest member of the expedition, John Masters. Along the trek as far as Stoney Brook they gave names to Mount Feake and Boston Rock, a "high rocky promontory" overlooking what would become Boston Harbor; their vantage point was the ledge outcrop on the east side of Prospect Hill. 1630-32	- Governor Winthrop explores the area. 1634 April - First recorded land grant, 500 acres near Mount Feake, to John Oldham. 1636 July - Watertown western land allotted for pastureland The Freemen of Watertown grant 120 people living in the West Precinct (Waltham) parcels of land to be used for cattle grazing pastures; first subdivisions of land tracts. 1650 - Edward Garfield acquires land near what is now Gore Street, and becomes Waltham's "first resident". 1701 - First "moving" school held on Waltham territory at home of John Hastings, on north side of Trapelo Road; first licensed tavern, Samuel Bigelow, proprietor. 1702 - Grove Hill Cemetery opened. 1712/13 - Waltham became known as the Western Precinct. Previously Waltham had been called the Middle Precinct and the Town of Weston was the Western or Farmers Precinct. The Western Precinct became the Town of Weston. 1723 June - Warham Williams is ordained, becoming the first settled minister in Waltham. 1730 - West Precinct votes to be set off as separate town because of continuous dispute with east precinct over location of the school; west precinct farmers want school in their area "so that Leanring may Be Advanced amoungst us"; motion fails. 1733 December - Joseph Wellington became the first schoolmaster. First schoolhouse built in Waltham territory just north of intersection of Bacon and Lexington Streets. This area later became known as Piety Corner. 1737 December 8 - The West Precinct in Watertown votes to petition the General Court to separate from Watertown. 1738 January 3 - Waltham is incorporated as a town. Farmers in West Precinct break away from Watertown because of disputes over equitable dispersement of tax receipts and feelings of discrimination over services rendered. 1738 - Harvard College bought 160 acres of farmland in northern Waltham. The property came to be known as College Farm, and the road running through it became College Farm Road. 1761 November 20 - The first Waltham bridge across the Charles River is built on Newton Street. 1771 - Newton Street bridge rebuilt. 1775 - Waltham men respond to "Lexington Alarm" to fight British. 1776 - More than two hundred Waltham residents bore arms in the Revolutionary War. 1779 - David Bemis builds dam and paper mill on Charles River. 1785 - Theodore Lyman builds wooden dam across Charles River at Eden Vale. 1786 - Christopher Gore buys Garfield and Phillips estates as nucleus of Gore Place. 1788 - John Boies builds Boies paper mill on Charles River using dam built by Theodore Lyman; later the site of Boston Manufacturing Company textile mill. 1789 - General Washington escorted through town by Waltham Calvary. 1794 - Christopher Gore builds dam and Gore Paper Mill on Charles River; later the site of the Waltham Bleachery and Dye Works. 1794 July 19 - First Methodist services held at the home of Abraham Bemis. 1798 - The town's first book collection is established at the Waltham Social Club. 1801 - Roberts paper mill built on Stony Brook. 1802 - Upham dam and paper mill built on Stony Brook. 1804 - Christopher Gore elected Governor of Massachusetts. 1806 - David Bemis lights factory buildings at Bemis with illuminating gas. 1813 - Boston Manufacturing Company mill built (now Francis Cabot Lowell housing complex) Boies Paper Mill sold and converted to cotton textile mill by Francis Cabot Lowell. 1814 - Boston Manufacturing Company built; introduction of the first power loom; manufacture of all phases of cotton production in one plant; large labor force initially consists primarily of Yankee farm women. Francis Cabot Lowell perfected his power loom in Waltham, and the textile industry, which was to transform Lawrence, Lowell, Fall River, New Bedford, and other cities into great manufacturing centers, was off to a flying start. 1815 - BMC establishes the Manufacturers Library for employees. 1816 - Nathaniel Prentiss Banks was born on January 30th. 1816 - BMC purchases the first town fire engine. 1817 - First Fire Engine Company organized. 1820 - First industrial strike in the nation is led by Waltham women against unfair wage reductions at the Boston Manufacturing Company. 1820 - Waltham Bleachery and Dye Works begins operations; lasts 131 years in city. 1820 - Manufacturer's Library opens. 1825 - Newton Chemical Company established; producer of sulfuric acid and dyes. 1826 or 1827 - The Rumford Institute established by BMC workers to promote intellectual inquiry and advancement through mutual instruction in arts and sciences; lectures, classes, and first circulating library established. 1831 - St. Mary's Church established by Irish immigrants. 1833 - Publication of first newspaper, The Hive, by S. Bullfinch Emmons. 1833 - John Roberts acquires the Upham dam and paper mill on Stony Brook. 1835 - Dr. Francis F. Field (a dentist) invents process for making chalk crayons; development of American Crayon Company. 1836 - Moody Street dam enlarged. 1836 - Formation of first bank, The Waltham Bank. 1838 - Town votes to officially name streets; Skunk Lane changed to Bacon Street. 1839 September 11 - The First Unitarian Church, built at Lyman and Summer streets on an acre of land donated by Theodore Lyman, is dedicated. 1839 - Harvard College sold the 160 acres of farmland in northern Waltham known as College Farm, but the road running through it retained the name College Farm Road. 1840 - First Irish immigrants arrive to work as laborers in mills; town now has 46 shops and stores, 6 churches, 275 dwellings. 1840 - Original St. Mary's Church burned. 1843 - Boston-Fitchburg Railroad line operates to Waltham; Boston Manufacturing Company agent influences exact route through Waltham to insure service to mills. 1846 - First Moody Street bridge erected across Charles River (redone 1871, 1921, 1946). 1846 - Felton Street iron and brass foundry built. 1846 - Colonel John B. Mason started boat trips on the Charles. 1849 - Chemistry District (The "Southside"), 600 acres is purchased from City of Newton for $1000 and annexed to Waltham. 1849 - Colonel Mason moved to Maple Grove Harbor. 1850 - Waltham's emergence as industrial center; Irish Catholics now form 25 percent of town's population. 1852 (approx.) - R.B. Johnson Jewelers at 653 Main street in Waltham is believed to be the oldest Jewelry Retail establishment in Waltham. Originally owned by Robert B. Johnson, it had changed hands around the early 1900's to John Grainger and it is now owned by the third generation of the Grainger family. 1853 - Newton Waltham Gas Light Company opens plant. 1854 - Rumford Building sold to Town of Waltham for use as Town Hall. 1854	Aaron Dennison establishes Waltham Improvement Company (later to become Waltham Watch Company); developes innovative technology of mass production using interchangeable parts; becomes major employer of Yankee Protestants offering higher wages and skilled work. In 100 years of existence produced 40 million jeweled watches, plus clocks, speedometers, compasses, time fuses for bombs and other precision instruments. 1855 - Tar Factory succeeds in producing first clear white kerosene. 1856 - Waltham publishes first successful weekly newspaper, The Waltham Sentinal. 1856 - Gas lights installed in the bleachery district. 1857 - Mt. Feake Cemetary consecrated. 1857 - Waltham Agricultural and Industrial Exhibit. 1857 - Agricultural Library Association (later to become the Farmers Club) formed. 1857 - Royal E. Robbins purchased the Boston Watch Company, located on the former Bemis farm property in Waltham, and changed its name to the American Watch Company. 1859 - William Mills launched Wild Rover (2 h.p.). 1860 - Swedenborgan Church built at corner of Lexington and Bacon Streets. 1860 - St. Mary's Church on School St completed. 1861 - Governor Banks appointed Major General of Volunteers by President Lincoln. 1862 - Lydia Williams Lyman, granddaughter of Theodore Lyman, marries Robert Treat Paine, great-grandson of a signer of the Declaration of Independence. 1865 - Rumford Library, on April 3 is renamed Free Town Library, and becomes the town's first public library. Located on the second floor of the Waltham Bank, the library's collection consists of about 3,000 titles. Its first librarian is Miss Lorenza B. Harnes, a teacher who later became a Universalist minister. 1866 - J.R. Clark launched E Forest. 1868 - First boathouse at Moody Street Bridge. 1868 - Manufacture of hosiery started in Bleachery. 1868 - Street railway service begins. 1870 - Peterson's Ice House (Ice cutting on river). 1871 - Steam Fire Engine "Waltham No. 1" arrives. 1872 - Waltham Pumping Station built. 1873 - Waltham's original water supply, the Charles River, is filtered and pumped by steam to a 6 million gallon open reservoir on land now owned by Brandeis University. 1873 - Col. William Gibbs launched White Swan steamboat, which ferried people along the Charles River from Moody Street to Auburndale. 1874 - Waltham Naturalization Association formed to encourage Irish to become citizens and to register them to vote. 1875 - Central Park recreational center opens with horseracing track. 1876 or 1877 - George Gissing, the famous Victorian novelist, obtains a position as teacher of English, French, and German at the high school. 1879 - Col. Gibbs sells White Swan to Harvey Bartlett. 1879 - Town votes to hire a Superintendent of Schools. 1880 - Canoe industry and boat houses appear. 1880 - Large numbers of French Canadiens arrive; Watch Factory blue-collar labor force forms 16% of town's population. 1880 - Inception of Board of Health, which becomes active agent in pressuring town to address water and sewer problems in poor area. 1880 - Music Hall opens on Elm Street. 1880 - The library moves from the bank site to new quarters, built by Charles E. Welch and designed by Waltham architect Henry M. Hartwell, on the corner of Moody and Charles streets. 1882 - Prospect Street bridge with a "draw" built. 1882 - Waltham Daily Tribune begins publishing. 1882 - Telephone service installed in town. 1883 - Harvey Bartlett opens skating rink at Maple Grove. 1884 - Waltham, because of changing pressures of growth and development, incorporates on June 4 to become the City of Waltham; local government is reorganized with Mayor and Board of Alderman; election of First Mayor, Byron B. Johnson. 1885 - First woman elected to hold public office serves on School Board. 1885 - First river carnival. 1886 - Electric lights installed. 1887 - River carnival draws 25,000 spectators. 1887 - Waltham Hospital opens. 1889 - Prospect Street bridge rebuilt with no draw. 1890 - Harvey Bartlett builds Forest sternwheeler (61' by 12', 150 passengers). 1890 - Street railway electrified with service to Newton. 1891 - H. Bartlett opens Forest Grove and Fox Island. 1891 - Construction of 32 miles of sewer system. 1891 - Waltham Screw Company founded; originator of automatic screw machines. 1893 - H. Bartlett sells White Swan to L.S. Brackett. 1893 - Opening of Grover Cronin'sdepartment store in Waltham. 1893 - Waltham Woman's Club formed. 1894 - Controversial construction of Cambridge Water Basin which destroys part or all of forty farms on best of Waltham farmland; one thousand acres taken; large work force of 1300 Italian immigrants who are housed in fourteen camps on Winter Street. 1894 - Orient Bicycles manufactured. 1894 - Francis Buttrick, a carpenter who came to Waltham in 1838 and who made a fortune through his lumber and real estate businesses, leaves a bequest of $60,000 to Waltham to establish a separate building for the town's public library. "Legal entanglements" prevent this money from actually reaching the proper hands. Meanwhile, it accrues interest. 1895 - Electric Trolleys appear. 1896 - Work strike by 1000 workers at the Basin. 1897 - Randall & Stickney Dial Company established. 1897 - Trolley fare - Moody Street to Norumbega Park 15 cents. 1898 - Metz Company began building cars and motorcycles at factories on Seyon Street. The offices of The Metz Automobile Company were in the Gore mansion. Metz also produced bicycles in a factory on Rumford Avenue. Metz Links on the Island Neighborhood Association site. 1904 - William Henry Nichols starts the W.H. Nichols Company in his cellar workshop. Starting out manufacturing watchmaking tools, the company moved to pumps used to make rayon fiber. They produced pumps and other aircraft components during World War Two, and expanded to about 800 employees. In 1984 the company was acquired by the Parker Hannifin Corporation. History of W.H. Nichols Company. 1905 - Woolworth's opens, first national chain store in City. 1905 - Infestation of gypsy moths. 1906 - Strike by workers at Bleachery and Dye works over low pay. 1906 - The nation's largest covered concrete reservoir built on Boston Rock for local water supply, two million gallon capacity. 1910 - Large numbers of Italian immigrants begin to arrive and to compete with Irish for work as unskilled laborers; adoption of 8-hour work day for municipal workers. 1912 - Metz Company makes 1000 cars per month; employs 1500. 1914 - The Francis Buttrick library bequest of 1894 of $60,000 has grown to $123,731. Land is purchased, and a tavern called the Central House, built at that location in 1672, is torn down. Loring and Leland of Boston are its architects, Horton and Hemingway of Boston are its builders. 1915 - Waltham Public Library dedicated. It has a staff of eight and its collection consists of about 42,000 titles. 1917 - Board of Commerce incorporates. 1918 - Walter H. Wade bought the American Watch Tool company, founded in 1872 in Boston, and moved it to a larger facility in Waltham. In the early 1920's the American name was dropped and the name became the Wade Tool Company. In 1961, the lathe business and the unique Wade Trademark were sold to the Covel Manufacturing Company in Benton Harbor Michigan. In 1970 the Lathe Line was bought back and moved back to Waltham, and began production again in 1971. In 1985 under new ownership as Wade Machine Tool Manufacturing, Inc., they moved from Waltham to a new and larger manufacturing facility in Chelsea, Ma. 1919 - Forestry Department formed; first use of spraying of trees to combat infestation. 1919 - Suffragist float in Waltham Parade, with Florence Luscomb. 1920 - Ricci Farms, on Trapelo Road, is started by Concezio "James" Ricci. 1920 - John L. (Jack) Leary, star right halfback for the Waltham High football team in 1907, 1908 and 1909, becomes the team's coach. 1922 - City takes over garbage collection. 1922 - The Metz Automobile Company closed. 1922 - B.C. Ames Company, developer of dial indicators, purchases two new buildings from the American Knitting Co. on Lexington Street. 1924 - Watch Factory strike. 1925 - Citywide building/zoning ordinance created. 1927 - New City Hall opened and dedicated. 1929 - First woman elected to City Council; Anna Worcester Fogg. 1930 - Last river cruise, in honor of Mayor Patrick J. Duane. 1930 - Closing of Boston Manufacturing Company; 350 workers left. 1933 - Board of Survey and Planning votes to recommend to State Department of Public Works that the proposed Route 128 be built between Bear Hill and Prospect Hill..
1933 - Raytheon establishes Waltham plant. 1941 Feb. 26 - It is announced that Waltham, Massachusetts would extend much needed aid to survivors of bomb damage in Waltham, England, in the form of a mobile kitchen unit that would cook as it traveled to serve hot meals. 1944 - Recreation Survey completed by Federal Office of War Services, recommends improvements in local parks and playgrounds which were in poor repair. 1947 - New city incinerator, located on Lyman Estate, completed. 1948 - Founding of Brandeis University. 1949 - Waltham joins Metropolitan District Commission for total water supply from Quabbin Aquaduct; iron content of local water too high for consumption. 1949 - Waltham could have had one of the first commercial TV stations in the country, but WRTB (for Raytheon Television Broadcasting), licensed to broadcast on channel 2, was never built, and its license expired. Instead, WGBH, one of PBS's landmark stations, began broadcasting on channel 2 from the Great Blue Hill in 1955. 1951 - Route 128 opened to traffic. 1951 - Bleachery and Dye Works close; Raytheon buys plant. 1953 - Radiation experiments at Fernald School. 1954 - Waltham Watch Company stops manufacturing watches. 1956 - Zoning change opens up large new areas for industrial growth along Route 128. 1957 - Waltham Watch Company bought and converted to Waltham Precision Instrument Company. 1958 October 23 - The Waltham Hospital is incorporated. 1961 - Nuttings Dance Hall burns. 1961 - Route 128 reconstructed and widened. 1967 - MDC Relief Sewer connection to Boston Harbor completed. 1968 - New Master Plan for city approved by Board of Survey and Planning. 1978 - Boston Manufacturing Company converted to senior housing. 1978 - Richard Landry Park created along the Charles (next to BMC mills). 1985 April 30 - The corporation "The Waltham Hospital", is changed to "WalthamWeston Hospital & Medical Center". 1990 June - The Waltham Farmers' Market begins its first season at the Embassy parking lot. 1992 - MDC opens Riverwalk Park. 1995 February 1 - The corporation "WalthamWeston Hospital & Medical Center" is changed to "Deaconess-Waltham Hospital". 1997 - Woolworth's, first national chain store in City, opened in 1905, closes. 1997 October 21 - Groundbreaking date for the Embassy Cinema, at the site of the former News Tribune building on Pine Street, was October 21, 1997. The movie house, named after the old Embassy Theater, will show independent and foreign films, and is being developed by the Athenaeum Group of Cambridge. 1998 May 8 - 9 (Friday and Saturday) - The Dalai Lama visits Brandeis University. 1998 May 13 - Ricci Farms on Trapelo Road, one of the last family farms in Waltham, closes. 1998 May 22 - Grand opening of Landmark Theatres' Embassy Cinema in downtown Waltham. 1998 August - All but the facade of Grover Cronin's department store had been torn down, and construction of the Cronin's Landing commercial/residential project was well underway. The project, near completion, was sold in May of 1998 to a company in Virginia for 60 million dollars. 2000 May - As part of the deal in the merger of Fleet Bank with Bank Boston, customers in many of the Fleet branches are being switched to Sovereign Bank. 2001 February 25 - Heritage Restaurant at 370-374 Moody Street closes after more than 40 years. 2001 March 2 - B.C. Ames Company, developer of dial indicators, closes. 2001 September 14 - 3 days after suicide bombers destroy the World Trade Center and part of the Pentagon in jetliner crashes, Waltham unites for a Candlelight peace vigil. 2002 June 1 - The corporation "Deaconess-Waltham Hospital" is changed to "The Waltham Hospital". 2003 July 29 - The Waltham Hospital closes. 2005 March 20 - The Boston Red Sox 2004 World Series trophy is on display for an hour and a half at McDevitt Middle School. About 1000 fans had a photo opportunity with the trophy, before it was taken briefly to the Lexington Street fire station on its way to Newton. A list published by Dr. John Morrison and Mr. Jack Cox of the Waltham Historical Society. Information sent in by Ken Bishop. A list compiled by Dee Kricker. Waltham, Past and Present; and its Industries book by Charles A. Nelson, A.M.
Waltham Through the Years article in September 23, 1998 Waltham Parade Supplement. 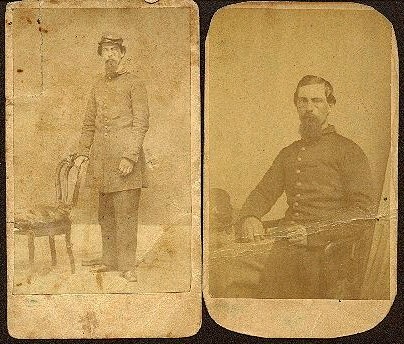 2 Civil War photos taken in Waltham - Thanks to Mike Bentley for these photographs, one by H. F. Warren, and the other by Alexander Perry. Peter E Gallagher of Waltham Hospital. Waltham Rediscovered: an ethnic history of Waltham, Massachusetts book by Kristen A. Petersen in collaboration with Thomas J. Murphy.